Yesterday’s wedding was beyond amazing! Terri and Michael said “I DO” with their immediate friends and family from all around the world! 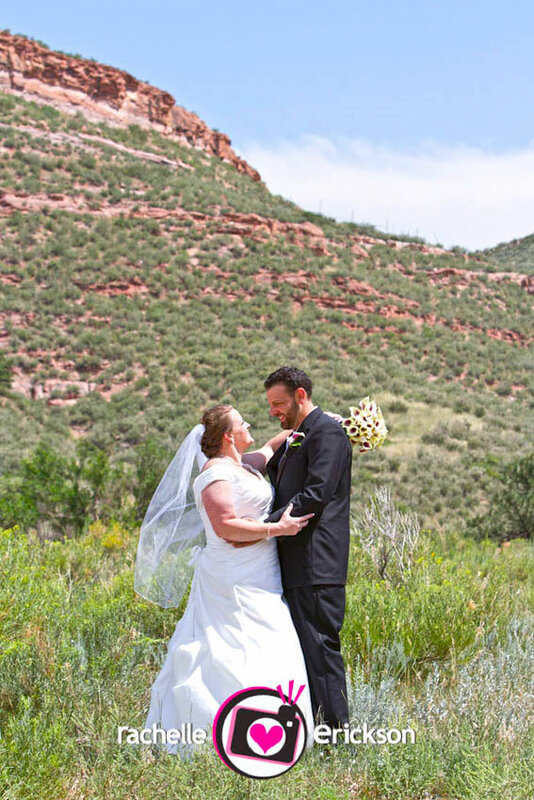 The location of the ceremony and reception took place at the gorgeous Sylvan Dale Guest Ranch in Loveland, CO. Their sweet puppy was even included in their ceremony! (Loved it!) I had so much fun with these two lovebirds I can’t even sit still I am so excited to share these SNEAK PEEKS! Thank you both so much for letting me share in your perfect day! I loved every second of it! Enjoy these and follow us here and on our Facebook Fan Page to see more highlights in the next couple of weeks. Rachelle Erickson is an award winning photographer specializing in Wedding Photography, Portraits, and Pets for Seattle, Bellevue, Tacoma and the surrounding cities. Reaching the Pacific Northwest to destination locations worldwide. For more information, please email info@PhotosByRachelle.com, or call 425.829.0532. Rachel and Brandon tied the knot this last weekend and it was a perfect day at the Swan Trails Farm! It was a perfect day for an adorable couple that we had so much fun with! I am excited to share a few “SNEAK PEEKS” with tons more to come! Hope your having an amazing time in Cabo! Latosha and Rosanna said “I DO” this last weekend and it was a perfect day at the Edmonds Yacht Club! It was amazing and I loved all the beach details they incorporated into their BIG DAY! I am excited to share a few “SNEAK PEEKS” with tons more to come! Have your photos taken to support Old Dog Haven! f5 Networks is sponsoring “Mini Photo Sessions” with 100% of proceeds donated to Old Dog Haven. Saturday and Sunday, May 4 & 5 from 8:30am – 2:30pm at Marymoor Park in Redmond on Saturday and Magnuson Park in Seattle on Sunday. Sessions are 20 minutes and deeply discounted for this event only! Bring your furry friend/s and your family to have your professional photos taken! We are very excited for this big 2 day event! Packages range from $50 – $125 and we will also be raffling off a $500 Dog Session at the event! ALL of the money raised supports Old Dog Haven! Let’s help out our furry friends! We were truly blessed to have a perfect sunny day for Katie and Nick’s big celebration! I have had so much fun with this amazing couple and their darling dog Izzy! The bride (and Izzy joined us of course) got ready at Willows Lodge. After the gorgeous bride finished getting ready we took photos in the sunshine and then headed over to the reception to Matthew’s Estates. Katie and Nick and their family really through an amazing and fun party! We ended the night with our PhotoFun booth! Here are just a few photos and there are tons more coming soon! Rachelle Erickson is an award winning Wedding and Lifestyle Photographer specializing in Wedding Photography, Parties, Special Events, Senior High School Grads, Children’s, Families, and Pet Photography for Seattle, Bellevue and the surrounding cities. Reaching the Pacific Northwest to destination locations worldwide. For more information, please email info@PhotosByRachelle.com, or call 425.829.0532. Seattle Wedding Photographer, Tacoma Wedding Photographer, Willows Lodge, Matthew’s Estates, Bella Umbrellas.